The historical and emotional attachment to family farms in Ireland has great influence over many land owners and their successors. Decisions surrounding the future farm succession and management as a business or as an asset may influence “who gets what” and the terms and conditions which apply to the choices made surrounding future use and ownership of family assets. Continue to have an active role and be appreciated. Is “the boss” around, embracing change? Family members who need lifetime care. Is the Succession Plan equitable? When a new member intends to join the family through a relationship, partner or marriage, the topic of ‘in-laws’ cannot be over emphasised. The continuation of the family farm business may depend on the new in-law relationship. The mother-in-law, father-in –law, son-in-law and daughter-in law relationships all benefit when a planned and agreed approach to the future together is discussed openly and planned in a mediated environment. Many concerns may need to be expressed to dispel the unspoken assumptions. A meeting of minds and a shared future vision between the family and the ‘in-law’ is best achieved when facilitated by an independent mediator. 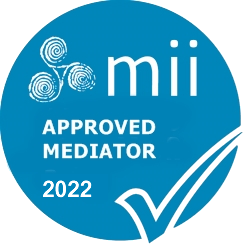 Mediators are independent, non-judgemental, impartial and do not and should not take sides, nor do they give advice. They facilitate the attending parties through mediation to reach their own agreements.